Everything on the earth has to take a rest: plants, people, animals... it’s time for red poppies. They close their flowers and make it one cohesive cocoon to protect it during night. 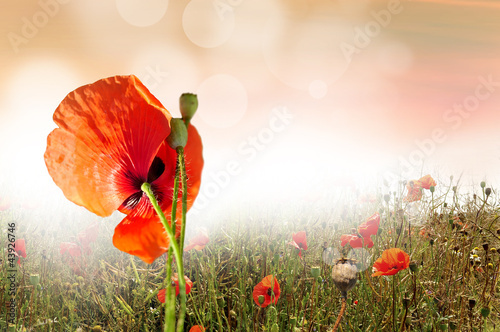 A photo wallpaper with a field of red poppies against a climatic background will impart a bit of mystery and a touch of curiosity to your house.